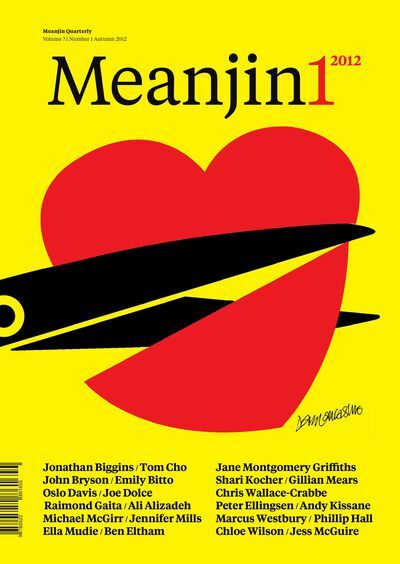 The March edition of Meanjin features Raimond Gaita, Melanie Joosten, Tom Cho and many more. 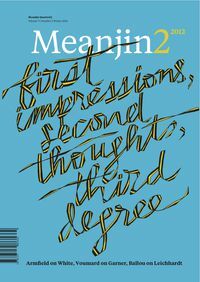 In the March issue of Meanjin two very different writers offer new insights into events that transfixed the nation. John Bryson returned to Uluru last year for the first time since writing Evil Angels. He reflects on the travesty of justice that was systematically, and very publicly, inflicted on a grieving mother. Shari Kocher chooses poetry to explore the emotions and mind of Arthur Freeman when on the morning of 29 January 2009 he stopped his car in the emergency lane of the landmark bridge, reached over his son, unstrapped his daughter and threw her into the water 80 metres below. 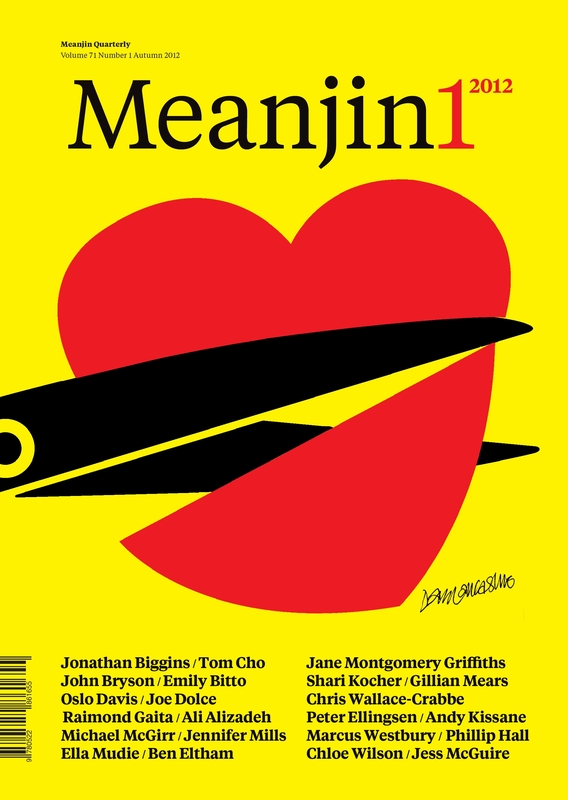 In a long-form essay Raimond Gaita argues for the very considerable benefits (to society and the individual) of a generalist education; Tom Cho's short story of some 8000 words is both unsettling and funny, and marks the beginning of Meanjin Papers, a new project highlighting one exceptional longer work each edition. Sally Heath's first full-time job in journalism was as editor of an independent paper on the Bellarine Peninsula in Victoria about 25 years ago. Since then she has divided her time equally between writing and editing, including working as editor of The Age's A2, blogging at A Season of Sundays, and most recently joining MUP as Associate Publisher in 2010. She is Meanjin's ninth editor.